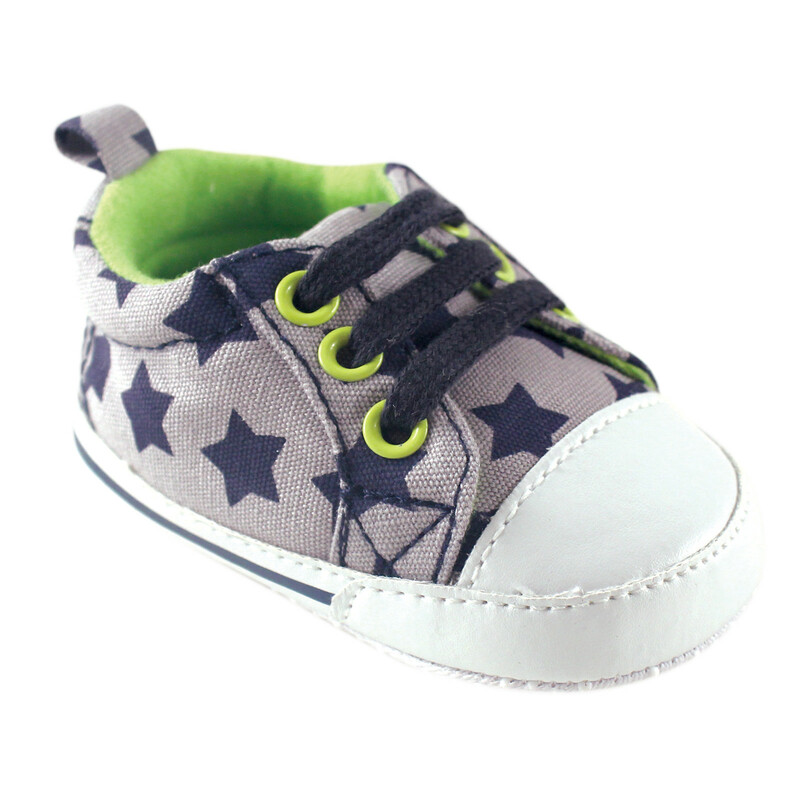 Luvable Friends Basic Canvas Sneakers are a great complement for your baby's outfit. Made of durable materials with non-skid soles these baby shoes come a small tab on back for easy on and easy off dressing. Perfect for wearing with any Luvable Friends outfit! Available in 6 solid colors, and now featuring 3 new prints for baby boys and 3 more prints for baby girls. Soft, non-skid dot soles make these great crib shoes for pre-walkers and help beginning walkers feel the floor and keep their feet under them. 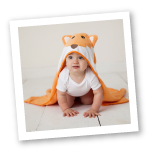 Great for coordinating with mommy or daddy's sneakers or with many of our Luvable Friends layette outfits.